The Whanganui River in New Zealand is the first in the world to be classed as a 'person' - confused? Well the river will have all the same legal rights as a 'person' - still confused? Well it basically means that the Whanganui River can be represented in court. It also has rights and values like we do. 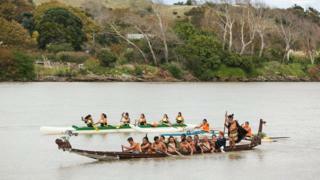 It's after a tribe called the Maori people campaigned for 160 years to get the river recognised. 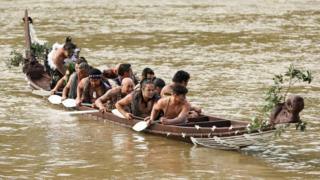 The Maori people live off the Whanganui River and according to them they have a very special spiritual connection to it. "The river as a whole is absolutely important to the people who are from the river and live on the river," said MP Adrian Rurawhe, who represents the Maori. "From a Whanganui viewpoint the wellbeing of the river is directly linked to the wellbeing of the people and so it is really important that's recognised as its own identity." As a result of the court case money has been awarded to keep the river healthier which it's hoped will give people living on and along it a better quality of life. What caused a river in Colorado to turn yellow?